The ‘Transformers’ toy-line was one of Hasbro’s most iconic products for the male child demographic. It was no surprise then that it was adapted as an animated series in the 1980s, even getting a theatrically released animated film in 1986. But only dedicated Transformers aficionados would likely know about this, as more recent fans would instead be aware of the 2007 live-action and CGI blockbuster directed by Michael Bay, a highly respected yet polarizing figure in Hollywood on his best days. His first “Transformers” film is often touted as the best Bay-directed film ever. And then it got sequels. Now the film franchise is on its fifth installment and, well, there are still tons of action and Bay explosions. But that’s all there is. Really, if the original film was the only one ever, the story could be considered satisfyingly complete. In fact the first three movies make for a serviceable-enough trilogy. But being a film based on a toy franchise means sequels will always be on the table. However by the time the fourth film “Age of Extinction” rolled into theaters back in 2014 the prospect of a live-action “Transformers” movie directed by Michael Bay has lost significant appeal for me. And after coming away from “The Last Knight”, the fifth installment reinforced in me that I can make no further serious investment in this series. 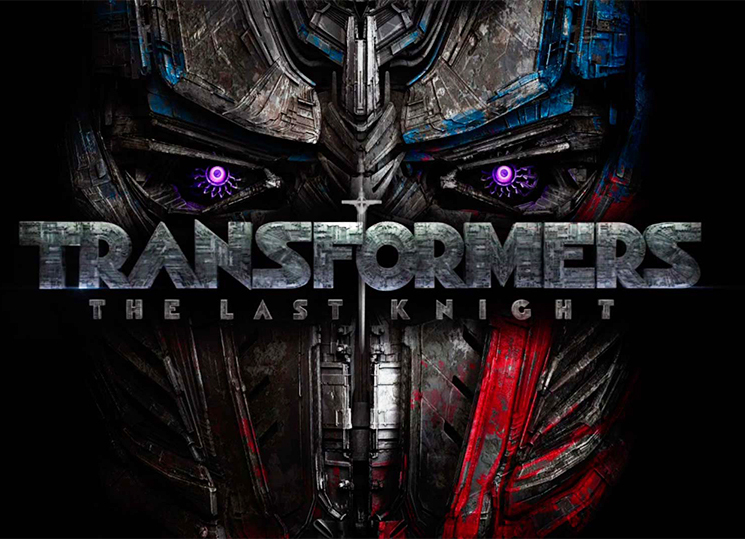 “Transformers: The Last Knight” carries on as its protagonist Cade Yeager from the fourth film. Before I would have made a distinction between a “human” and “Transformer” protagonist, but this time the burden is all on Yeager (Mark Wahlberg), a struggling single parent and inventor. He now operates a junkyard in South Dakota to hide his alien robot companions from the increasingly militant human governments that have it in for all Transformers regardless of alignment. Thing is, Yeager’s an adult, and the past films were somewhat exciting from having a youngish person be the primary viewpoint human. They tried to pull this off with a newcomer in Isabella (Isabela Moner), an orphaned urchin who survived the Battle of Chicago from the third film and has been living in its ruins with outlawed Transformers for company. She falls in with Yeager after he rescues her from government robot-hunters and moves into his junkyard, but that’s her prominent contribution. Yeager meanwhile finds himself aping the situation of his protagonist predecessor Sam/Shia LaBeouf, stumbling across a sentient alien artifact shaped like a medieval medallion. And here we stumble into the cesspit of retroactive canon that is the back-story of the “Transformers” film series. The first movie would have it that the first human-Transformer contact was a couple centuries ago. Then the sequel would have it that the first humans to see them were prehistoric. And then the third film claims that the Apollo 11 lunar mission was to have the astronauts explore the crashed Transformer ship on the moon. There were no back-stories of this sort in the fourth, but “The Last Knight” would have it that olden-time Transformers were allied with King Arthur (Liam Garrigan) and his wizard Merlin (Stanley Tucci). That’s not the half of it. The status of the doomed Transformer home-world of Cybertron has been altered yet again. The first film had the energy source that created Cybertron and its inhabitants destroyed. The third saw Cybertron nearly warped next to Earth. At the end of the fourth, the Autobot leader Optimus Prime (Peter Cullen) left Earth to return there, and when he does in this film he gets accosted by another Prime. By now even franchise newbies would be lost. Anyway, Cade’s alien medallion leads him to England where he meets a British Lord (Anthony Hopkins) who is the last of a secret order that has recorded the secret activities of Transformers throughout history. Apparently the Witwicky Family from the early trilogy is distantly related to an order member. So is another new companion in beleaguered Oxford professor Viviane Wembley (Laura Haddock), who has some plenty powerful genetics in-story here. And that’s really all the human characters of note because aside from Optimus, Bumblebee and the evil Decepticon leader Megatron (Frank Welker), all other Transformers are window dressing at best, combat fodder at worst. Seriously, despite the plot on-goings, everything in “Transformers: The Last Knight” has been seen and done in the four films preceding it. Nothing is surprising anymore. A trope name for such a phenomenon of blandness is “sequelitis” and that is a bad thing for movies. Not even Michael Bay’s “patented” directing style and trademark “Bay-splosions” will suffice to cover up the fact that this movie is a rehash of what’s come before. And despite the subtitle, this won’t be the last Bay “Transformers” film. A spin-off with Bumblebee is set for next year, with “Transformers 6” up for 2019. I might watch just to do a review, but my enthusiasm is gone. Time to let Optimus rest. 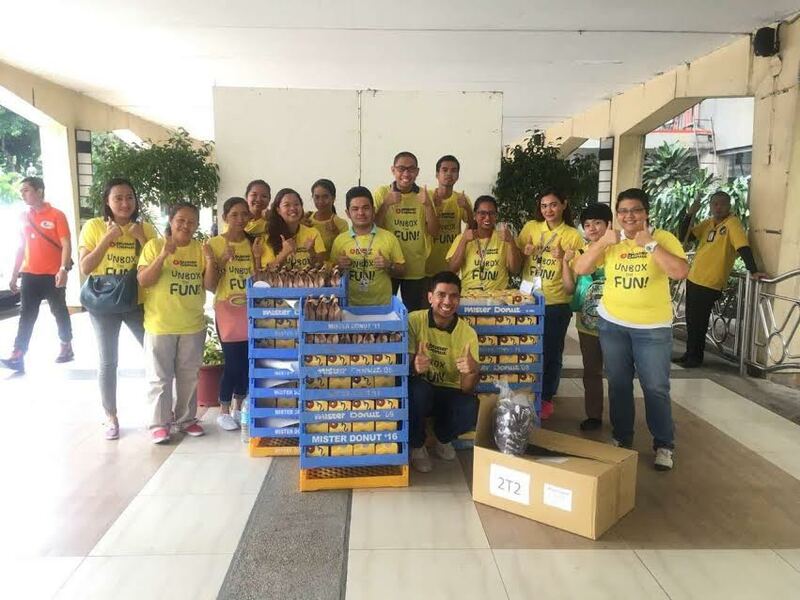 This week Mister Donut will be making the rounds of workplaces in the nation’s capital as they begin their “Manila Office Invasion.” Twenty-three locations, from malls to banks to movie cinemas to government agencies to even the San Juan City Hall, will have their employees treated to boxes of free Mister Donut Bavarians. They will also come with sachets of Drip Coffee to help wash the Bavarian goodness down. This is Mister Donut’s newest campaign to once again remind working individuals in Metro Manila of the long-running presence of their brand, and to serve as an advance invitation for the launch day of “Unbox the Fun” on all Mister Donut branches this Friday June 23. And the lucky employees getting their free donut boxes of the past days will have some additional incentive to show up for the event. 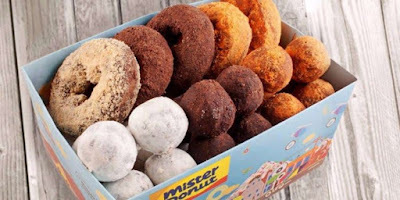 The Mister Donut distribution teams will also be giving them coupons for free Ube-flavored donuts valid for redemption at any Mister Donut shop in the Metro Manila area. As if these office workers would need any other motivation. Many will certainly be looking forward to taking their Friday work break at the nearest Mister Donuts, where they’ll be just in time to “Unbox the Fun.” We surely hope they would enjoy their free Bavarians. If Mister Donut has a masterpiece, they would be it. And they’ll be expecting you all to be there when the big day to “Unbox the Fun” kicks off. I know I’ll be dropping by too. When a good friend of yours tells you to join in with him on a bandwagon for something really good, it’s understandable if you want to say no first. And when you do finally take the plunge and realize that the “good thing” is true, it’s understandable if you’re suddenly wondering why you didn’t just get into it earlier. That was how my story with USANA began, and in a way I’ve been living in its happy ending for quite some time now. I’m pretty sure many other USANA users online must have spun this similar tale of betterment of health. There’s no use in me claiming originality in my own contribution, but let me give my own personal experience all the same. I’ve come quite a long way from my simple beginnings as a blogger. Thanks to some golden opportunities I was able to expand this personal endeavor into a small but formidable business outfit that has several different enterprises under its umbrella. It makes me proud to see this company I’ve nurtured grow and develop over the years. What I’m not so enamored about is the immense amount of stress I began putting myself in to oversee all of our many operations. All-nighters, constant travelling and irregular mealtimes brought on by one business meeting after another have compounded into a not-so-healthy lifestyle that could spell bad things for my physical condition if left unchecked. 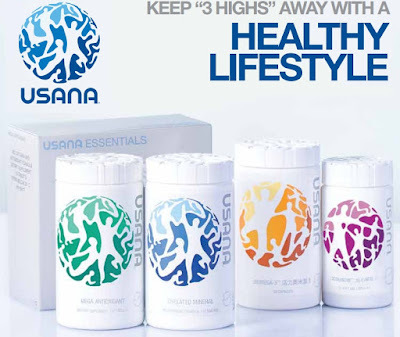 Sometime ago, when I was still really starting out, a close friend of mine was introduced to USANA Health Services and their formidable lineup of health products. He then brought it to my attention, but at first I balked. A health company from the US is conducting business either by direct order or by independent distributorship? The fact that they already have a presence in 16 countries didn’t quite put me at ease. That first time, I said no and went on with my life and work. As my small business began to spread its wings – and I began to suffer the effects – I had another encounter with USANA. This time it was an active associate, and I was given a full rundown on what they were all about. I read the documentation, took a look at the products. I decided to cut off the onset of possible bad health conditions brought on by my increasingly hectic workdays and made the call to put my trust in USANA. That was a good call. I had my “Why didn’t I do this sooner” moment, then I lived my life and ran my business with USANA by my side. 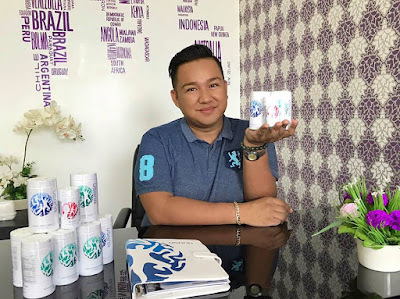 My initial batch of USANA products pretty much covered all the pitfalls I was going to have with my health due to the trappings of being the boss of a small company with a goodly reach. Sleepless nights, impromptu long drives to meet with partners and clients, and frequent flying could wreak havoc on the nutrition levels of any healthy man. Watching out for my own health by getting some exercise and proper eating could only go so far. For that I had the double-team backup of USANA’s Chelated Mineral and Mega Antioxidant Tablets. The latter makes up for any vitamins I missed to take into my body, and the former does the same for healthy minerals. Pairing one each of these tablets with breakfast (whatever time that may be) and dinner, is in my own view a solid plan to ensure that my busy body doesn’t miss out on all the good and empowering stuff. And the antioxidants are an absolute godsend. The third USANA product on my starter pack was the Visionex Food Supplement, and that’s one more vital component in keeping me going. When I’m not on the move, I’m sure to be in my office or at home with my eyes glued to my laptop screen for hours on end. My eyes certainly won’t be too happy with me for it, which is why Visionex has become almost indispensable to me. With its Lutein and extra helpings of Vitamin C, I can keep my eyesight in good working condition and stave off the need for eyewear. USANA and I have been working together for some time now, keeping me steady as I steer the wheel of my company towards the future. While I already have enough on my plate right now to become another associate spreading the message and products of USANA to more people around me, I’m at least doing my part to raise awareness of their product benefits by becoming a brand ambassador for them. You don’t need college or university honors to succeed in life. You just need an eye for opportunity, self-confidence, inspiration, a glowing face and USANA as the cherry on top. Where motion pictures are concerned, these are the days of the multi-installment film franchises. Unlike conventional film sequel formats, which try to maintain a central theme for every new movie that comes out, the franchise films tend to highlight world-building, moving from one main character to another (with a few odd sequels featuring the same characters in between) while maintaining the feel of a “shared universe” where all these separate stories take place, and occasionally interact. Disney has the Marvel Cinematic Universe. Warner Brothers has the DC Extended Universe. Legendary Entertainment has begun its own “Monster-verse” featuring the likes of (King) Kong and Godzilla. The “Mummy” franchise was popular enough then that Universal gave it its own reboot in the 90s and 2000s, the more “high adventurous” film series starring Brendan Fraser and Arnold Vosloo as the bandaged abomination. With fond memories of that franchise, Universal decided that, going into the development of their “Dark Universe” films, the inaugural movie will be about a mummy (after discounting 2014’s “Dracula Untold” with Luke Evans as a starting point). Returning the atmosphere of the mummy to horror, Universal then took the subversive bold step of changing the monster’s gender. Rather than a mummified Egyptian priest named either Imhotep or Kharis, the monster of the film is the sultry yet sinister Princess Ahmanet, played to scary sexiness by Sofia Boutella. Mummified alive after selling her soul to the Egyptian god Set in a bid to seize the throe of Egypt, her sarcophagus is found in modern-day Iraq (with a grim reference to the archaeological destruction wrought by ISIS) and recovered by American military officer/relic hunter Nick Morton, a role that is rather ably take up by older-than-he-looks superstar Tom Cruise. Viewers can at least easily believe that Cruise is portraying a character that is a decade or two younger than his 54 years, thanks to that uncanny face and the action sequences he gets into for this film. All his time spent on “Mission: Impossible” and its oodles of sequels certainly paid off. And in a way he does make for a pair with Boutella as Ahmanet, who does make for a darkly seductive force whenever she appears to him in visions as her non-mummified self. She seeks to make him, who found her resting place, into a vessel for Set as part of her plan to rule the world like any god-like monster that was once human would. Theirs isn’t the only storyline running through this movie however. If Ahmanet is trying to lead Morton into a dark path, there is archaeologist Jenny Halsey (Annabelle Wallis) who is trying to keep him from falling into perdition. Never mind that the only meaningful interaction they had in backstory was a one-night stand where Morton steals her map to Ahmanet’s tomb. And then there’s the unwieldy introduction of a common thread that must serve to tie up the Dark Universe films the way SHIELD did to the early-stage MCU. The Prodigium is a secret agency that hunts down monsters and evil entities in the world (with shout-outs to Universal monsters that will be rebooted for this franchise). Said agency is led by a minor Universal Monster in Dr. Henry Jekyll (Russell Crowe), the brilliant doctor-scientist with the twisted and superhuman alter-ego. This new “Mummy” film does somehow manage to deliver seat-jumping scares at key points all the way from the Middle East to England, thanks to some effective CG work. But the unwieldy middle portion and the shoehorning of the monster-hunters of Prodigium makes the already bare-bones plot thread concerning Morton and Ahmanet (with Jenny as a heroic third wheel). At times the pacing of the story is more a transition from one action set piece to another, with phoned-in info-dumps inserted in some quiet portions. One can appreciate the steps Universal undertook to build a foundation for a multi-film franchise of their own. However the unevenness of the execution will come across as an elephant in the room for more critical moviegoers. They can thank their lucky stars that the box office is a bit more positive in their regard for the movie, but Universal really needs to step up its game for the next segment of their Dark Universe, if it is to have any chance of becoming a movie-verse at all. To any dedicated follower of the newest and latest in OPM, there are a lot of standout music artists and performers that totally deserve their fan-bases. One example is singer-songwriter Titus John (TJ) Monterde from Cagayan de Oro. Although a university graduate with a degree in Bachelor of Science in Developmental Communication, TJ decided to take the plunge with a singing career. He started as a radio personality in his hometown, then a TV host for ABS-CBN Regional programming, then a YouTube performer and even joining the auditions for the next MYX VJ back in 2012. Under the guiding hand of Polyeast Records since 2013 and bolstered by a publicized warm pairing with OPM soul artist KZ Tandingan, TJ’s star has been on a steady rise in recent years, finally culminating in his first solo concert last Saturday. 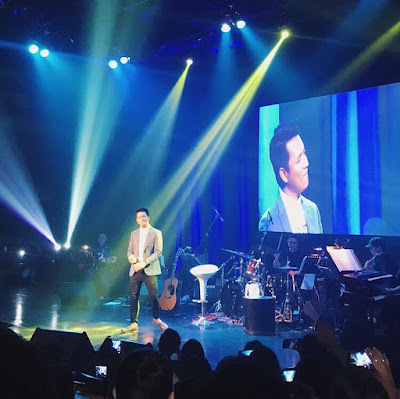 As MYX Philippines tells it, TJ Monterde pretty much rocked everybody’s world at the Music Museum on June 17 for his debut live concert “Ikaw at Ako”, named after the hit single from his first album. Speaking of albums, this concert also served double duty as the launch party for TJ’s third and latest album “Kahit Kunwari”. At times just singing with band accompaniment and in others joining along with his acoustic guitar, TJ went through his repertoire of songs from his Polyeast Records library to the adulation of his audience. Over the course of his performance his official Twitter page was swamped with photographs taken of him onstage captioned with squealing and genuine praises from fan-girls and fan-boys, a strong indicator of the cross-gender appeal of his songs. It really helped that a number of his songs were inspired with his strong relationship with KZ. Speaking of KZ, she was also a special guest at TJ’s Music Museum concert. In a post-concert interview the OPM soul singer expressed her pride at the success of the evening, especially with their live performance of “Ikaw at Ako Pa Rin”. “Not all artists can open [their concert] singing an original song of theirs,” she remarked. “He took the risk and it paid off.” Also among TJ’s guests was young singing diva Sassa Dagdag of “The Voice Kids” fame. Ever since I saw a photo of it during science class during my school-kid days, sunflowers have held a fascination for me. At a glance they look like the most basic drawing of a flower for children. As I grew up the curiosity for sunflowers (g. Helianthus annuus) I had remained a constant, and I’ve often visited gardens where these big bright blossoms are grown and cultivated. Just today however, I may have encountered perhaps the most wonderful location in South Central Mindanao where sunflowers bloom at their very best. 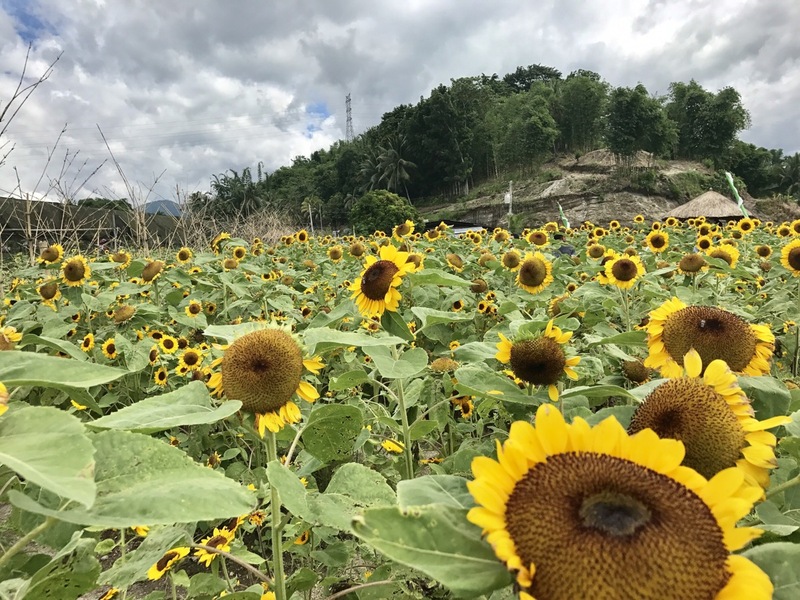 While passing by the municipality of Tupi in South Cotabato on business, I heard word of an agricultural tourism park that had opened there only late last month, where there’s a field of helianthus that begs to be seen and enjoyed. Who am I to refuse? 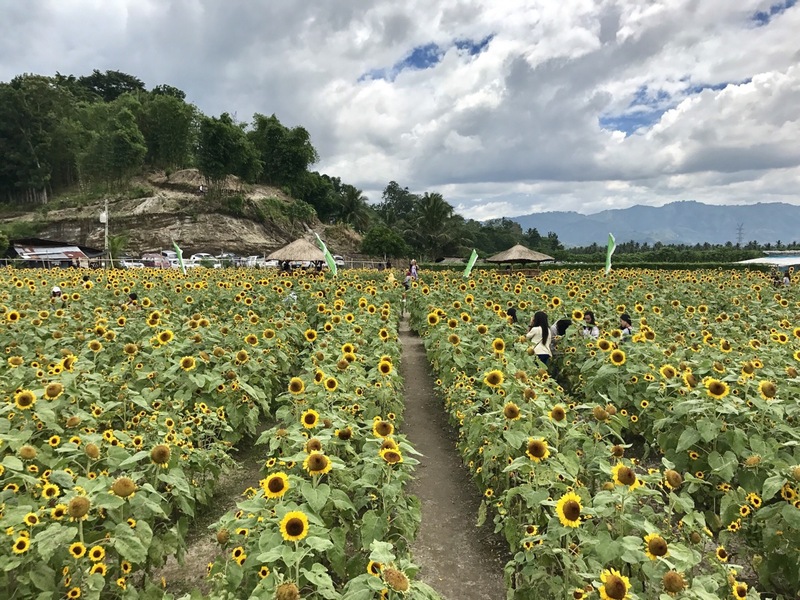 The Blooming Petals Inc. Agri-Tourism Park touts itself to be the first of its sort in the province of South Cotabato. 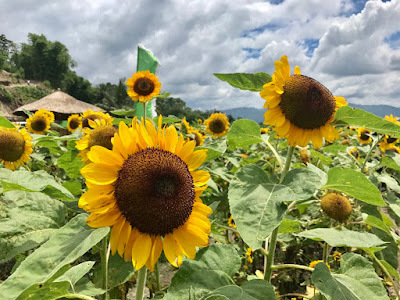 Located at Purok 3A, the park dominates a good area of land, perfect for growing vegetables and flowers, most especially the blooming sunflowers that have fascinated me for so long. In fact I only just learned that they even opened a booth back in GenSan, at Veranza Mall, where they showcased the blossoms they were going to grow and cultivate at the park itself. It was a shame indeed that I missed that. Or maybe not, since I could just go to the place myself. As it turns out, Blooming Petals Agri-Tourism Park opened last May 27, and from what I discerned it was a major hit. And looking at what’s in store inside (after a P30 entrance fee), I can most definitely agree. Like I said, the star attraction of the park is the masses of sunflowers there, neatly planted in artistically winding rows. I give props to the landscapers for their aesthetic sense where this is concerned. You just need to look at me among the helianthus blossoms to tell that I’m having just so much fun. But before I get too carried away, let’s talk about Blooming Petals Inc. some more. It’s just like the title of “Agri-Tourism” Farm says; there’s some agriculture going on there as well. One section of the premises has been reserved for a perfectly varied vegetable plantation. Aside from the usual stuff a resident of South Central Mindanao would see at the market or mall grocery section, like string beans, cucumber and pechay, there are also stuff like red radishes (instead of white) and bok choi growing on the featured plots. Even better, the management has an open invitation for visitors to take their pick of veggies right out of the ground (for market prices of course). Or, if you’d prefer to purchase them clean and dirt-free, then Blooming Petals has their very own in-house veggie stall. And I have to say, they take good care of the crops there. Now, as an Agri-Tourism Park, Blooming Petals has taken steps to be prepared for a lot of visitors and tourists coming over to have a look-see. And that includes looking out for them should they get hungry while taking their strolls. That is why I applaud the establishment for having dining facilities where they offer affordable meals to fill hungry bellies. Their meal package has a cup of rice, three sticks of pork barbecue, and a serving of vegetable salad. It’s a perfect way to end your tour of the park be it for (late) breakfast, early lunch or snack-time. Here I am going on and on about the park and I plumb forgot to mention their operating times. For their grand opening period, Blooming Petals Inc. is open seven days a week, from 7 AM to 5 PM. But here’s the thing: that arrangement is only good for three weeks from its opening day last May 27. It means that the all-week business days will last only until June 16. This is in time with the lifespan of their sunflower crop. After June 16 the park becomes open only on weekends (same P30 entrance fee per head applies), because by that point their inaugural sunflower planting will be gone. But fret not, a new crop will be replanted and should be in full bloom for more visitors by September. It’s quite long, but quality can’t be rushed, I’m sure. 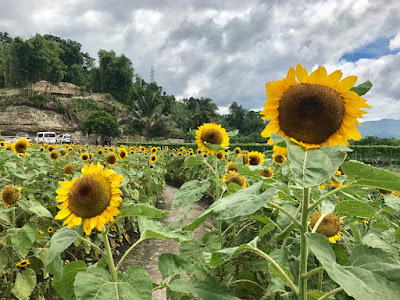 Long story short, I am very impressed by my day jaunt at the Blooming Petals Inc. Agri-Tourism Park and I encourage everyone to come and see for themselves. They’ve already gotten featured in “Candy Mag” already, so that’s one major endorsement that I’m happy to join. For more information on Blooming Petals, you can check out their official Facebook page at https://www.facebook.com/bloomingpetalsinc/?ref=page_internal, or call 0918 935 9352 for your inquiries. Remember, they’re at Purok 3A, Tupi in South Cotabato. But you have until June 16 to see the sunflowers, so hurry! For people who have used PC with Microsoft Windows all their lives, they must hold some appreciation for the MS Office suite of word processing, spreadsheet and other related applications. These have been one of the most important products in the entire package of the earliest Windows operating systems that would cement the rise of Microsoft as a giant of computer software. It should be noted that the project head that originally oversaw the development of Word and Excel had since left the company he had been a part of, but just over a decade after his departure, Charles Simonyi finds himself back with Microsoft, in a rather roundabout way too. 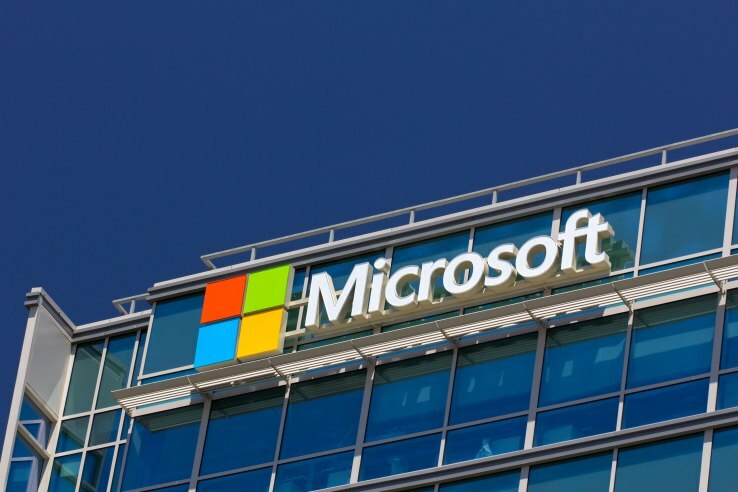 CNN reports that on Tuesday April 18, Microsoft announced their agreement to acquire Intentional Software, a startup firm launched by Simonyi following his 2002 resignation from the company he has been a part of since 1981. Although the specific terms of the acquisition deal were kept private, Microsoft did state that having Intentional Software as one of their subsidiaries would be a major help in advancing their own development of more productivity tools, a newly emergent battlefield between software companies fielding competing work platforms. Simonyi, who became a billionaire himself during his tenure at Microsoft, leading the development of MS Word and Excel (and Excel’s spreadsheet forerunner Multiplan), would go on to found Intentional Software in 2002 which, in his own words, focuses on “reinventing productivity software for the modern workplace”. The Hungarian-born software executive also donated millions of dollars to the same charities as Bill Gates himself, and even became the second “space tourist”, or recreational civilian astronaut, in 2007 when he flew in the Russian Soyuz TMA-10 rocket spaceflight to the International Space Station (ISS), a feat he would repeat in 2009. With regards to the Tuesday announcement of Microsoft acquiring his startup, Charles Simonyi had only this to say in his blog post on Intentional Software’s website the same day: “I am excited, stoked, amped, and elated to join forces again with Microsoft.” With his startup now part of his old stomping grounds, he sees a software revolution of sorts that he describes as “reinventing productivity itself”. The higher-ups at the company Simonyi worked in for two decades were just as much in awe with his “comeback” as he is. Current executive VP of the MS Office product group Rajesh Jha, had nothing but praise and honor for one of his predecessors saying, “During his tenure, Charles oversaw the creation of some of Microsoft’s most well-known productivity applications. Now it’s my honor to welcome Charles back to Microsoft, along with his exceptional team.” It should be recalled that Microsoft is on an acquisition spree, one of which was LinkedIn for $26 billion. SM City Gensan has been a total godsend to the people and city of General Santos. Ever since opening in 2012, it’s been a hub for all the great new things coming to town, where the hottest shops from the outside come to set up, and where some of the most delicious dining to be found anywhere, all in easy reach. 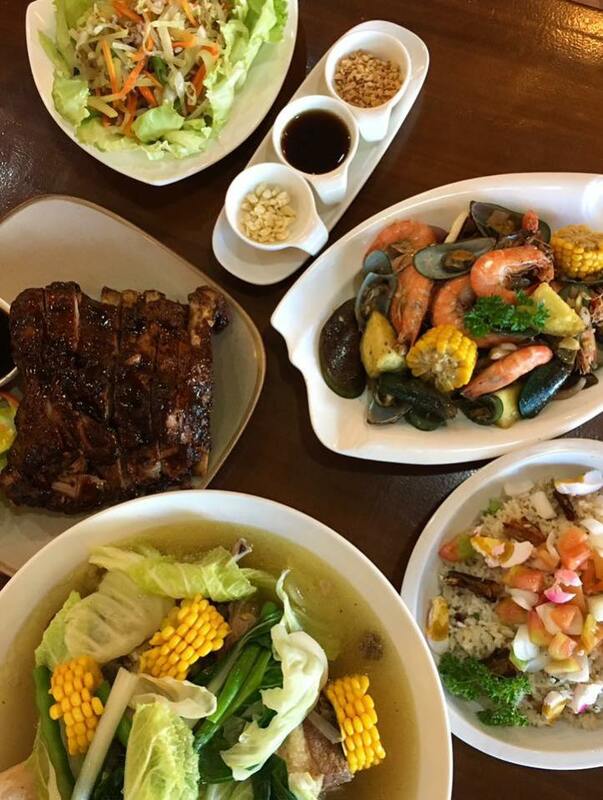 The alfresco dining section of the mall has been waiting to get filled up by restaurants and coffee-shops since near on six years now, but what establishments have indeed opened up there are major draws for families and foodies of Gensan. Let’s go over one of the best there now, none other than Ranchero Nuevo Grill and Seafood Restaurant. It’s location at SM City Gensan’s alfresco dining area is truly inspired. Just a brief walk either out the doors or around the mall façade at San Miguel Street, you’ll see it just off to the side of the alfresco stage, supremely decorated in the rancher’s style that its name implies, with tables even laid outside the doors for diners and drinkers who prefer being out in the bustle, with a clear view of the stage and whatever evening’s entertainment is in store. The interior is also remarkably neat, illuminated with soft lighting, and hews to the overall theme, something I give the decorators my compliments for. Seating arrangements are also praiseworthy with good elbow room, not cramped even if packed to capacity with customers. But we’re not here to discuss only the looks and aesthetics of Ranchero Nuevo. 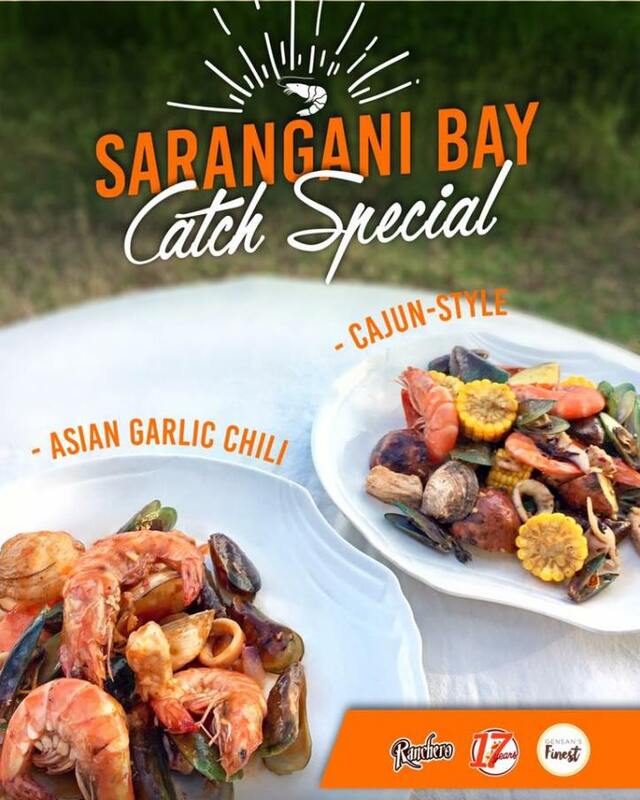 It is a grill and seafood restaurant after all, so let’s shine the spotlight on what’s best to eat over there. The menu is a mix of American ranch, Mexican and even Filipino cuisine, all either cooked or ROASTED to delectable perfection. Should you happen to check out the Google reviews for Ranchero Nuevo at SM City Gensan, almost all the reviewers are in awe or one signature dish that any self-respecting grill restaurant should have: baby back ribs. I can guarantee that this is one of the best, if not the best roast pork you can pay for anywhere in the city. It doesn’t disappoint with the crispy brown cut ribs with their savory sauce and cut veggie garnish. Surely, the baby back ribs are Ranchero Nuevo’s best-selling offerings. But that’s hardly all they’ve got. They’ve got other choice cuts of pork to serve up here. On a more Filipino bent, Ranchero Nuevo has also got its own recipe for crispy pata or deep-fried pork leg. Served already chopped in easy serving pieces mixed with minced spices and a variety of dips, it’s another tempting dish for die-hard pork lovers, along with their crispy binagoongan. But before readers assume further about pro-pig bias, Ranchero Nuevo has even more than these to make your mouth water with. Switching over to beef, they serve some nicely-sauced lengua estofado (beef tongue) with mashed potatoes. Another Spanish-inspired hit is the callos de ranchero with beef tripe, which can be considered an alternative presentation of sorts for a beef dish that Generals are already so familiar with: balbacua. I’d say that about covers the best of Ranchero Nuevo’s red meat delights, so it’s time to discuss the white. For something a bit more uncommon to local tastes, they serve sizzled chicken steak on a hotplate, with garlic among its primary flavor spices. 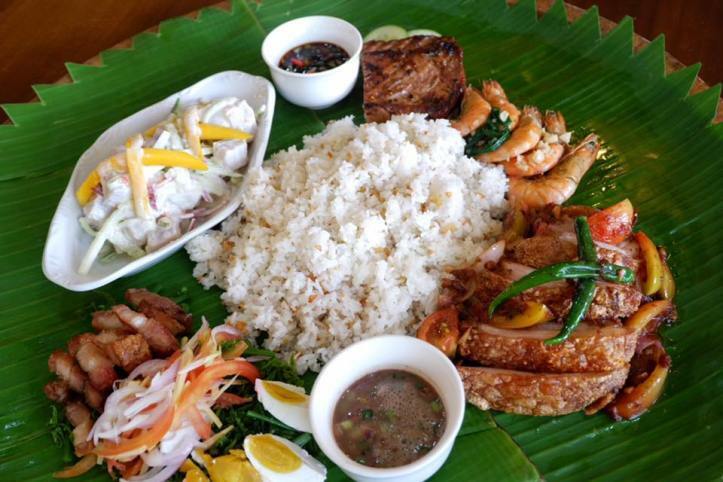 And let’s not forget that Ranchero Nuevo also has “Seafood” in its name, with the prime example of their fish cooking being the bangus relleno (milkfish), a scrumptious meal if you can put up with cleaning the meat of the characteristic little bones. Finally, not even veggie lovers are forgotten by this amazing restaurant, which lists a wide variety of salads from various regional cuisines. Whether it’s western Casesar’s Salad or a tropical-themed summer vegetable salad, it’s up to you. Thanks to SM City Gensan being located across the street from a major hotel their alfresco dining area and adjacent fountain court end up being full of people most nights, especially if some performers are scheduled on set at the stage. That’s usually when the dining establishments really fill their seats. Ranchero Nuevo is no exception, and they even have a detached open-air portion of their restaurant with tables and chairs in front of the stage for better viewing of shows. You’ve got to hand it to their staff to be so considerate, but that’s just one of the numerous reasons why the Ranchero Nuevo Grill and Seafood is already so well-loved, not just by the Generals but by travelers and tourists stopping by. Try out their “everything” for yourself at the ground floor outside, at the alfresco dining area of SM City Gensan. NINTENDO Planning SNES MINI for 2017 Holidays? Last year, video game company Nintendo scored an epic coup for retro nostalgia when, just before the highly-anticipated release of their new hybrid portable-console system the Switch, they introduced the Nintendo NES Classic Edition, a miniaturized reissue of their landmark killer console from the 80s pre-loaded with some of the most iconic game titles of the time, with save game and video quality options to boot. The plucky little throwback console was quickly sold out of both real shelves and online ones. It was a surprisingly successful gamble, and Nintendo’s apparently is in the mood to try again, with the next generation of their gaming history. According to Eurogamer, it has been confirmed to them by anonymous sources close to Nintendo that the company is indeed in the middle of drawing up plans to create what may possibly be known as the Super Nintendo Entertainment System (SNES) Classic Edition, a retread of the NES Classic but for its next-generation 16-bit successor. Likely packed with a prime selection of popular SNES games with some slight variations on titles depending on region (NA or JP), the proposed new retro re-mastered console is being slated by Nintendo for release sometime in December, the holiday season. This new development and production may well be the reason for the seemingly abrupt discontinuation just this April, both in North America and worldwide, for the NES Classic which has been in production for only five months. Although the videogame maker has long stated that their retro offering was a one-off limited run, many fans have been upset at how quickly the consoles become scarce after shipment to retailers. The resulting clamor for production to be extended has reportedly take Nintendo by surprise due to their marketing it only as a holiday novelty. But now with the trickling of this piece of inside information, things seem to be making more sense, in needing to prep for the production run of a new classic edition console. Already online gaming communities are abuzz with the possibilities, as while the NES and its games were legendary and well-loved, there’s no doubt whatsoever that the later SNES was packing superior hardware for great-looking and even greater playing games. While it’s expected that the titles for the in-development SNES Classic are pre-installed and unchangeable like its predecessor, one can assume that some of the best Nintendo- (and third party-) made games will be ably represented, like “Legend of Zelda: A Link to the Past”, “Donkey Kong Country”, “Chrono Trigger” and several “Final Fantasy” sequels. While no official word has come from Nintendo about this leak, hopes are high that this report can be substantiated and not turn out to be mere rumor. When one mentions the Tohoku region of Japan, those who’ve been abreast of world events will immediately recall the terrible earthquake and tsunami that visited devastation upon the place in 2011. For a time things were terrible there, but the passing of five going on six years after the calamity has given Tohoku time to recover, and is once again serving as one of Japan’s tourist destinations that are just a ways off the more obviously frequented spots. What’s to find in Tohoku, by the way? Well, outside the forests there are the numerous onsen, or traditional Japanese hot spring resorts. And then there are the kokeshi, or traditional wooden dolls. The tradition of crafting kokeshi in Tohoku dates back to about 200 years ago, back when the area was covered in thick forests, perfect for harvesting lumber by itinerant seasonal woodcutters. In addition to construction materials, wood from the trees, usually the leftovers from sawing into planks, were carved into a variety of useful or fun items and implements ranging from tableware to toys like tops, kendama (ball and cup game) and of course the kokeshi. When winter came and put a halt to logging activity, the woodcutters would retire to the nearby hot springs to relax. While there, they began selling kokeshi to travelers passing through Tohoku, and over the years the customers became tourists both local and international. 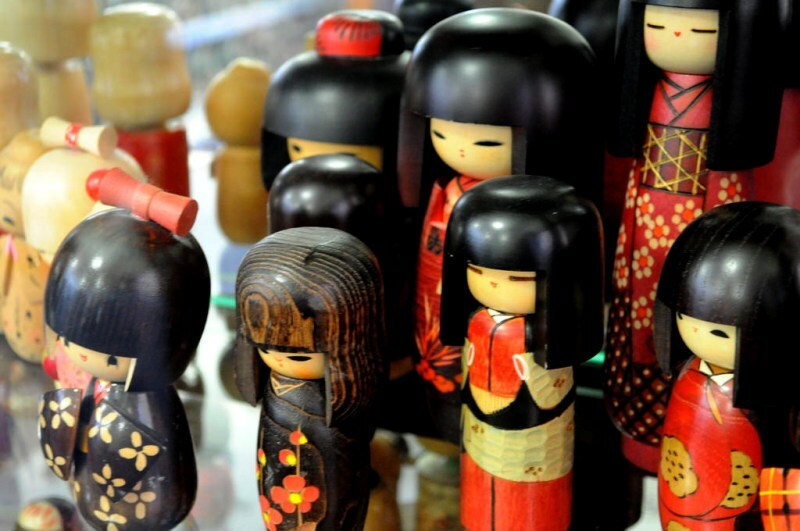 Today the kokeshi doll-making business is doing very well for itself, and amazingly their maintained popularity even today is due to the advancement of technology. The standard kokeshi doll is typically a bulbous large head mounted on a rotating swivel atop a thin and smooth body (no arms and legs), with the whole thing painted to depict faces and clothes. Incredibly, their stark designs would inspire Nintendo bigwig Shigeru Miyamoto to conceptualize the Mii, customizable digital avatars of players for navigating and playing certain games in the Wii series of consoles. Between the traditional appeal and the pop culture osmosis, Japanese kokeshi won’t be fading away anytime soon. Whenever Apple has got a new iPhone model or variant ready, they usually make the official debuts on September of the year, ever since they shifted from the start of the summer to near the end of it. This is especially true of the flagship iPhones, the first model of their generations, and the patter ought to follow suit this September 2017 with the iPhone 8, their version coming off the 10th anniversary of the iconic smartphone. However there have been reports that a certain piece of tech design for the 8 is giving the company some trouble, and if certain leaked schematic details are the same as the alleged problems with the iPhone 8’s design, then it’s no wonder Apple fans are not so pleased. According to Boy Genius Report (BGR), there’s a flurry of reports indicating that Apple may be considering a delay to the introduction of the iPhone 8 to correct a certain placement of tech features on the new smartphone’s case. These inside information hint that an alternative to putting off the launch may be to remove the tech in question from the whole package instead. All of these uncertainties could possibly lie with an as-yet unverified design schematic that had been leaked by anonymous sources to BGR, detailing how the rear case housing of the iPhone 8 is laid out. The schematic drawing depicts a standard iPhone rear setup, with a hole for the camera, a large Apple logo, and another hole directly underneath it. While not labeled, the second hole appears to be for the iPhone Touch ID fingerprint scanner, which was first seen in the iPhone 5S. Originally mapped to the Home button, the Touch ID was being refined by Apple to eventually be embedded at the bottom of the touchscreen display instead, but have run into some developmental snags. Reaction by iPhone users on the new location of the Touch ID scanner was mostly negative, owing to the awkwardness of trying to hold the prospective iPhone in one hand and then placing a finger so far down its center to register in the Touch ID, if that is indeed what it appears to be. Another prevailing thought that sprang out of this fact is that the leaked schematic may be an earlier rejected design. But it appears relocating fingerprint scanners on smartphones to the back at some strange placement is gaining prevalence. Even the soon to come out Samsung Galaxy S8 is getting flak from its own consumers over the scanner now being next to the camera lens. Hopefully more information will come out of Apple’s own mouths to better clarify how their new phone is put together. Speak for flowers associated with a country and only quickly comes to mind when Japan is mentioned. They actually have two iconic blossoms, but the easiest remembered in none other than the Sakura, or cherry blossom. They bloom from the Japanese cherry tree, Prunus serullata, and a common sight throughout most of the Japanese islands in the springtime that is from March to May. So ubiquitous is the cherry blossom that it has a firm grip on the Japanese imagination. “Sakura” is a popular girl’s name for instance, and people have come to observe a tradition centuries old, to take some time off from their regular daily routines during early March or so, just to go the nearest grove of cherry trees and sit under them, either sedately watching the blooming Sakura petals falls or enjoy a vibrant picnic among the flowery shower. 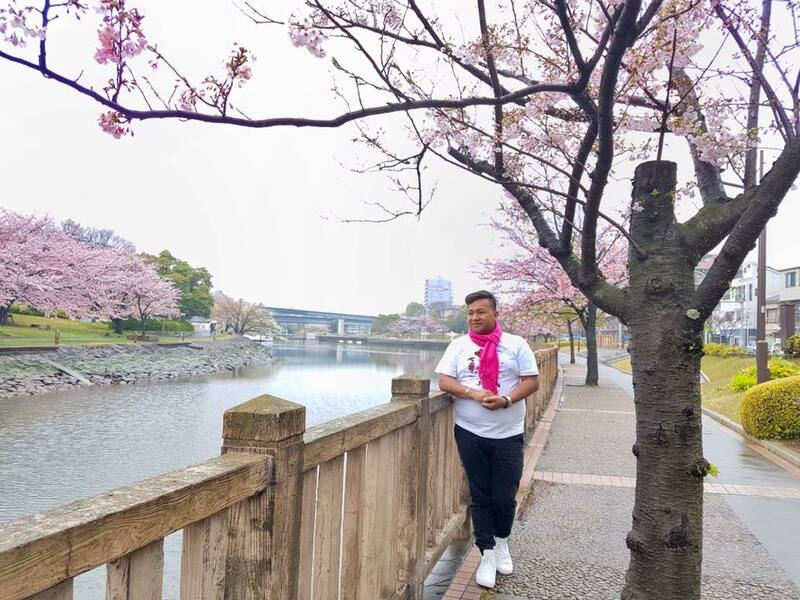 This is the practice of “Hanami” or “Flower Viewing”, wherein people can contemplate both the beauty of the cherry blossoms and ponder on their transient nature as symbolized by their falling petals. In modern Japan, the official start of the Hanami season is a special feature of the Japan Weather Association’s broadcasts. Annually at the start of spring when the word is given, travellers both domestic and international, local and foreigner, make for a flurry of flight bookings as people return to their hometowns or tourists arrive in droves in order to participate in this time-honored tradition with a mix of joyful celebration. Japan itself is a large enough area with multiple islands, to the point that the optimum blooming period of cherry blossoms for Hanami come at different dates of the year according to geographical spread and last for only a few days at most. The beginning usually takes places further south, on the Sakura blooming in Okinawa, then creeping northward as the season changes through March, April and May. 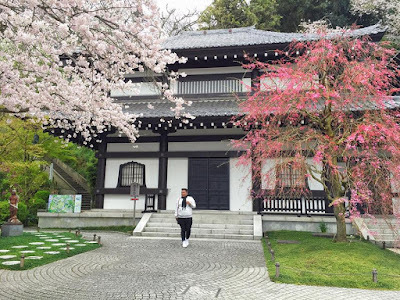 But if you’re looking for the best places to catch the most picturesque sights of cherry blossoms for Hanami, these are the best places to be. It’s probably to be expected that two distinctly Japanese symbols would go hand in hand. There are several locations around the sacred mountain of Japan, Fuji, where the best Sakura sightings can be found. The most obvious choices are the five small lakes of Kawaguchi, Yamanaka, Shoji, Motosu and Sai, which roughly surround the foot of the mountain. It’s almost child’s play to snap pictures or take video of the Sakura trees in bloom with Mt. Fuji in the background. It’s best to try booking a trip with World Expeditions which hosts a two-week tour during the Hanami period. Go to http://www.worldexpeditions.com/au/index.php?id=357 for further inquiry. Another former capital of Japan, it was during its Heian period that cherry blossoms replaced Ume as the flower to watch during Hanami. The Kamogawa River is lined with Sakura trees, and they can be found also at the Shinto Heian shrine and the city’s Gion district where Kyoto’s geisha (they prefer to be called “geiko”) reside. The Kyoto Imperial palace meanwhile has 60 individual blossoms, the Shidare, which are reputed to be early bloomers. This is the final stop of the evolution of Hanami, where it expanded from an exclusive activity of Imperials and nobles, to become a tradition of all Japanese. Even today, Ueno is an oasis in the larger ultra-urban metropolis of Tokyo where people gather to watch the Sakura. Food for the occasion is also easily accessed thanks to nearby department stores offering special Hanami bento boxes. Be warned though: because this is Tokyo, the most visited location in Japan, seating space in the park is both limited and highly sought after. Rest assured there are more areas in Japan with a prime view of cherry blossoms for Hanami. 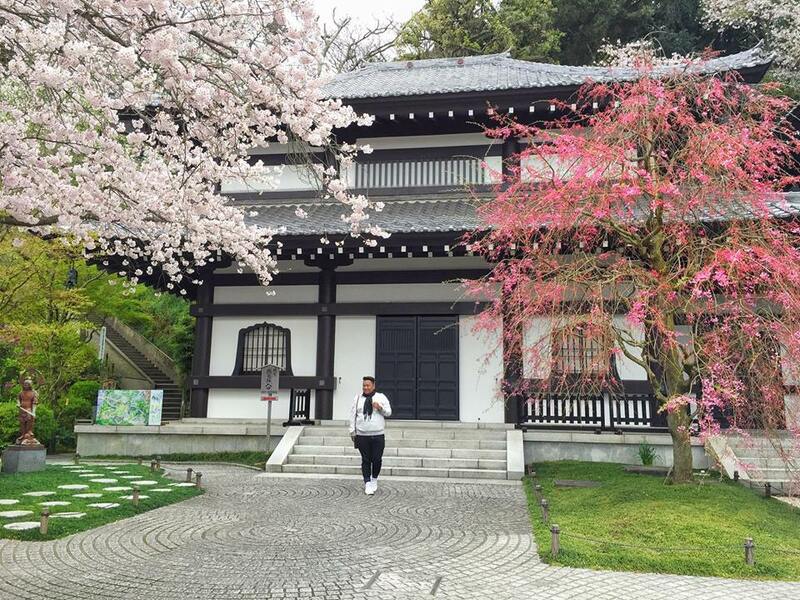 The historically preserved city of Kanazawa in Ishikawa prefecture is another hit due to their Sakura at Kenroku-en Garden. 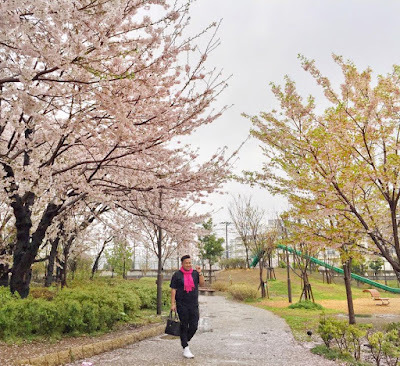 For late travelers, Hokkaido is the last resort to experience Hanami by May, either at the town of Niseko or at the city of Hakodate, specifically their Goryokaku Park. The Hanami festival is a great source of national pride for the Japanese, one they have wholeheartedly shared with the world. 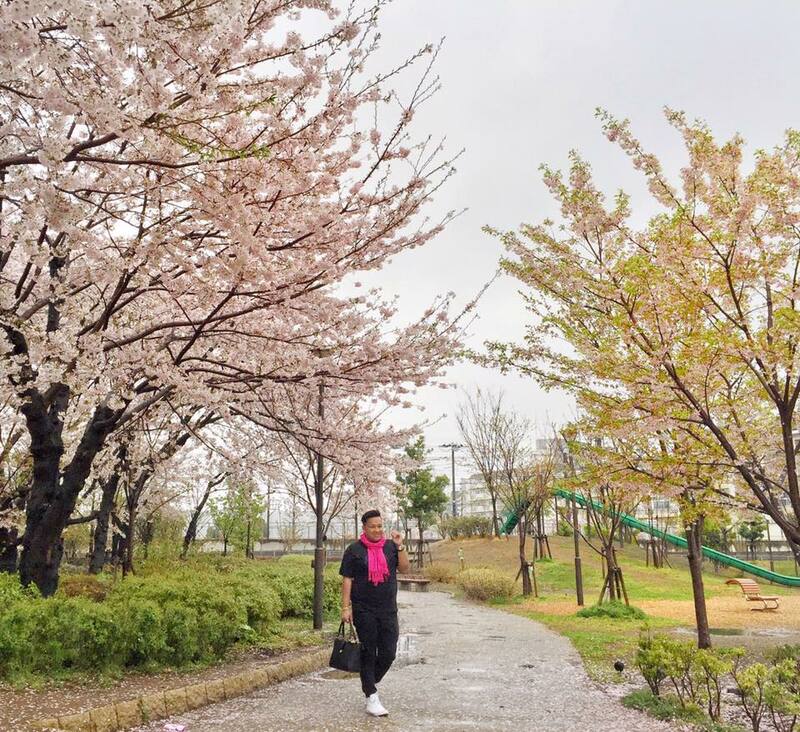 While other countries with Japanese Sakura have their own version of the viewing festival, nothing beats going to Japan itself to really experience the natural beauty of Hanami. Spring has only just begun. Ask around now for the best opportunity to make it. Japan is the home of anime; everybody in the world knows it. It’s so quintessentially Japanese in its appropriation of Western stylistic conventions while making it their very own. From this genre came some of the most popular, and occasionally award-winning, media exports of the country, anime productions for both television and the big screen, several of which became powerful cult classics to Western and other Eastern audiences. Titles from the 80s and 90s, like “Akira” and “Ghost in the Shell” (which now has an upcoming Hollywood adaptation), are held as masterpieces of audiovisual media for instance. And more recently the 2016 feature film “Kimi no Na Wa” (“Your Name”) by Makoto Shinkai is earning international accolades for its story and cinematography. One could assume that the animation industry in Japan remains at an all-time successful run. But dark shadows have been running under the surface for several years now. One of the more prominent general feature news items about Japan is the sobering fact that its population is both getting smaller and older. More Japanese of marriageable age eschew getting together and forming families, be it due to nigh-impossible romantic ideals or preferring to live single for their own selves. As a result, there are progressively smaller numbers of children and youth in comparison to adults and the elderly in Japan, and as a whole their population is already shrinking. This affects the anime industry by both the departure of older production personnel and the slow entry of junior animators and artists into the business because of low mandatory wages for their extremely vital job positions. Coupled with the fact that earnings for domestic broadcasts of anime TV series is at an all-new low, there’s a feeling that the animal industry seems set to collapse under its latest success. But there’s still a way for Japanese anime to continue being profitable for Japan’s industry. This however means that certain changes needed to be made in animation companies regarding the encouragement of fresh talent coming in; the better to make more productions that could very see success (and revenues) on the world media market. As mentioned earlier, the anime film “Your Name” is currently the highest-grossing Japanese animation of all time internationally. Part of which can be attributed to the adorably charming story: that of two teenagers, a boy and a girl, who find themselves on occasion inhabiting each other’s bodies. Using this to their mutual advantage the two use their time “switched” to help improve one another’s lot in their respective lives, and ultimately avert the tragic loss of many lives in a calamity. The global box office intake of “Your Name” is at present an impressive $330 million. The Association of Japanese Animations (AJA) would report that the anime revenue sector grew in 2015 by 12%, totaling $16 billion in all. This is thanks to their increasing presence on online streaming services along with other prime programming choices; it should be noted that streaming of anime from China was up by 79 percent that year. And in 2016 the theatrical box office returns for anime films was $2.1 billion, hailed as a record of sorts. Even better, the current popularity of “Your Name” has encouraged global content markets to make plenty of inquiries about other anime features and shows from a prominent Japanese entertainment company. Despite more somber opinions from anime company insiders believing that this is but a temporary “special case” windfall that will ultimately not change the market greatly, it’s still quite telling that of Japan’s top 10 movies for 2016, six were anime feature films. Despite the other stumbling blocks that are plaguing the anime industry today – the disparity of wages between longtime animators and their junior assistants, and the difficulty of production companies raising revenue from TV broadcasting alone (they need merchandise sales and licenses to keep falling in the red) – there are still some bright and positive developments happening for the popular Japanese medium. The increase in anime streaming from China is but a facet of the larger renewed interest the country has towards Japanese animation, including several deals for join co-production between animation outfits of their respective countries. Granted this is due to the current political tensions with South Korea leading to the Chinese government cutting imports of programming from there, and needing to fill their loss by acquiring shows from Japan; but it’s still something of a win. Meanwhile, Hollywood is on the verge of globally releasing their adaptation of “Ghost in the Shell” this end of March, starring Scarlett Johansson. Finally, internationally renowned and multi-awarded anime creator Hayao Miyazaki is conceptualizing one more motion picture masterpiece, ostensibly his last of his career before retiring for good. And the rest of the world continues consuming anime. There may be problems along the way, but perhaps they too will eventually be overcome.